"Skeleton" of Your Rug and they are often made from white cotton, wool or silk and extend the length by a few centimeters at each end and each individual tassel that you grab in your hand runs through the middle of the rug all the way to the other end, emerging as another individual tassel on the opposite end of the fringe, they are knotted and contain a tight twist to an open end. This type of construction and fiber content combine to make rug fringes susceptible to damage and wear. Indeed, both of these characteristics make rug fringes particularly difficult to clean and maintain. All rugs fringes (Persian Rug & Oriental Rug) wear out over time and that leads damaging the ends of rug and its edges. To keep the rug fringes from fraying and unraveling, our well trained and skilled personnel will repair and re-fringe your rug by adding new fridge yarns in damaged area or by adding replacement fringes by hand. 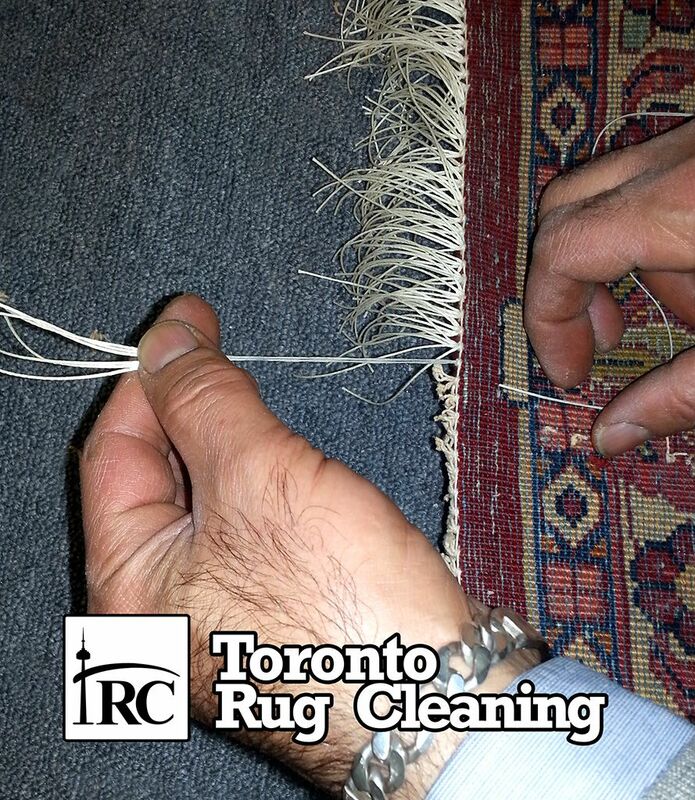 When the fringes of the rug have disintegrated partly or completely, the damaged fringing is removed and replaced by newly hand knotted thread. Replacing worn out fringes will give your rug a new refreshing look. Our experts will matching original fringes as closely as possible, add gorgeous new fringe to make your rug look new again. "We highly recommend binding repair if the sides of the rug are wearing out." Fringing and binding will increase the durability and value of your rug.